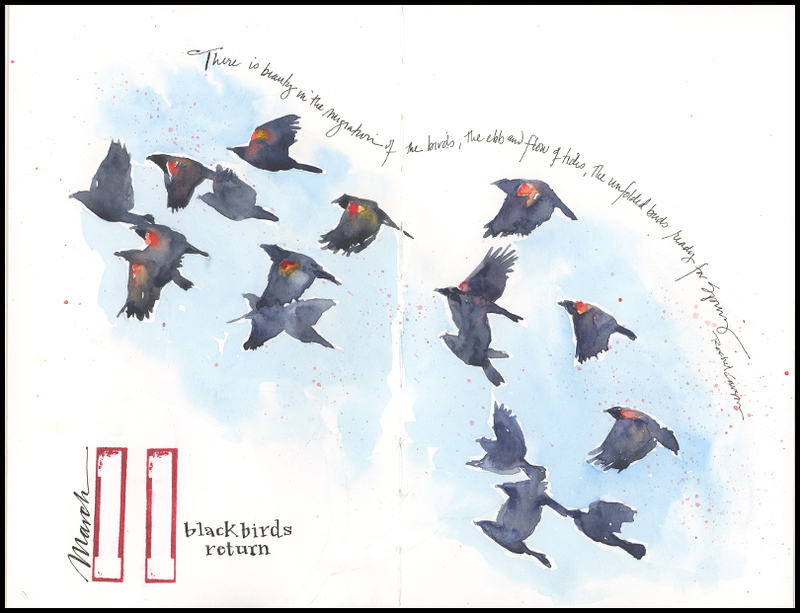 My previous post on tulips left me eager for more reds, though this week, I’m back to birds and words. 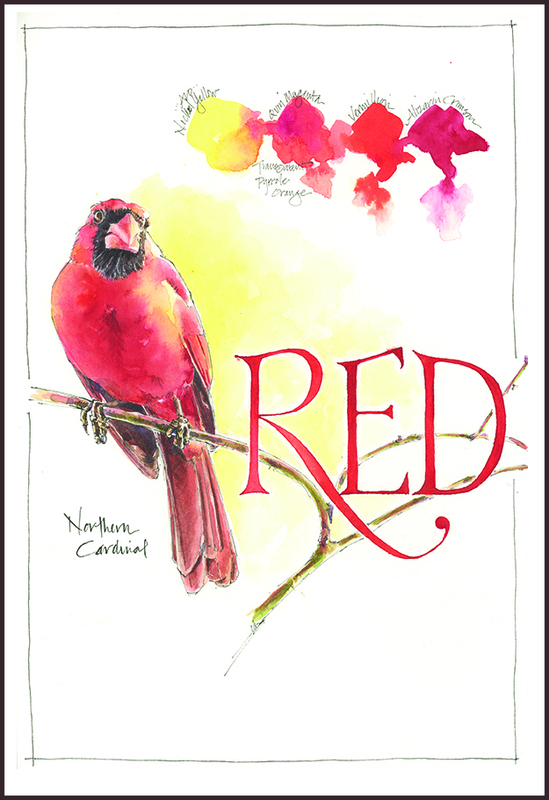 What better choice for reds than the Northern Cardinal, the most colorful bird at my feeder in winter? But isn’t red just red, you ask? Well, absolutely not. You can see that I’ve experimented with different reds (and yellow) here— mixing combinations of transparent reds in a range of warm and cool tones. Other than alizarin crimson, these aren’t colors I use frequently, so this was a worthwhile experiment. 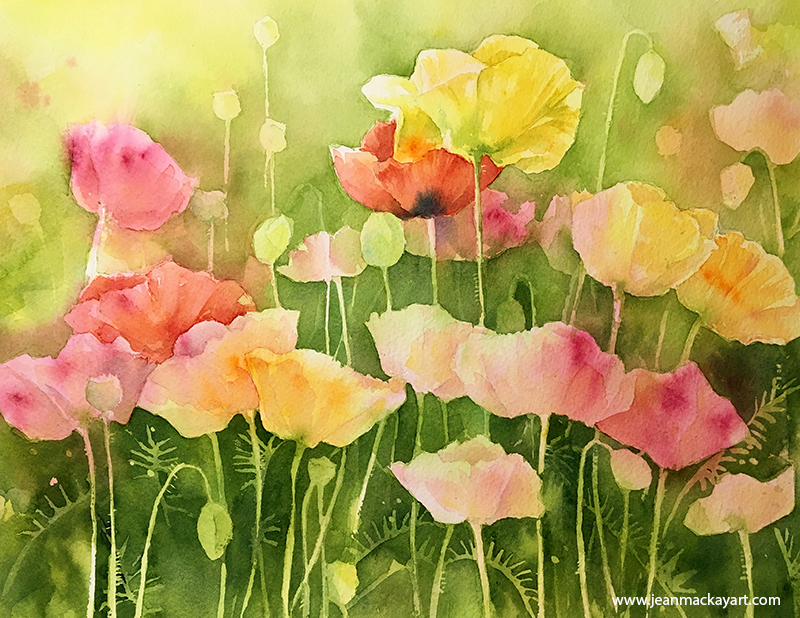 Tips and Techniques– Here’s the line up of colors at the top: Nickel Azo Yellow, Quin Magenta mixed with Transparent Pyrrole Orange, Vermillion, and Alizarin Crimson. The Vermillion looks heavy because it’s Dr. Ph. Martin’s Synchromatic Transparent Water Color, an intense liquid watercolor that I’ve had in my desk for years, but rarely use. The point here isn’t to go out and buy any of these colors, but to experiment with your own. Try mixing the ones on your palette (or in your drawer) to see how much they will do for you. A spark of red. Bold color after months of winter. Unfortunately, my poor bouquet of tulips drooped within hours of when I purchased it, and well before I had time to paint it. 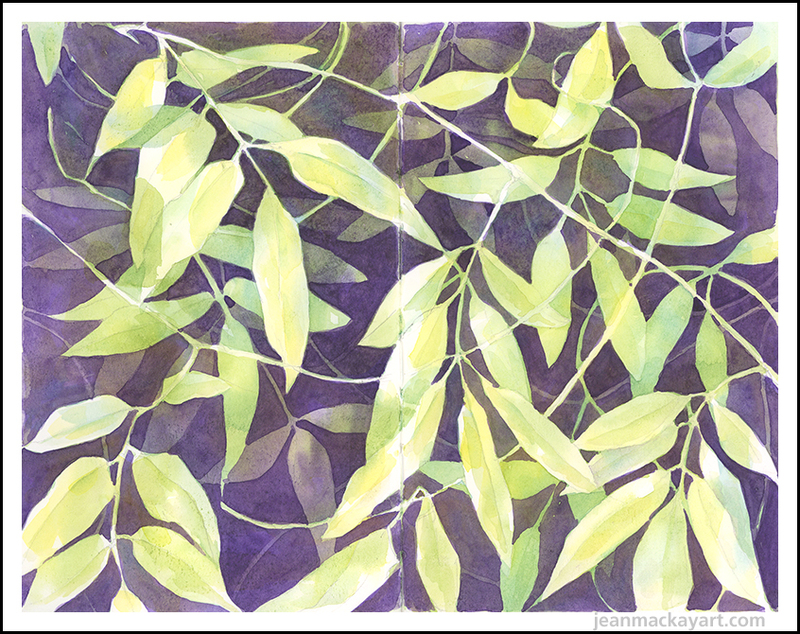 Alas, the grand wilt gave me the perfect opportunity to create this herbarium page inspired by Wendy Hollender’s wonderful book, Botanical Drawing in Color: A Basic Guide to Mastering Realistic Form and Naturalistic Color (2010). It turns out that Emily Dickinson, too, kept an herbarium. Her poem, numbered 978, conveys the essence of may be missed when you think you have another chance, another day, but don’t. Tips and Techniques– Precision, accuracy and beauty are the hallmarks of natural science illustration. 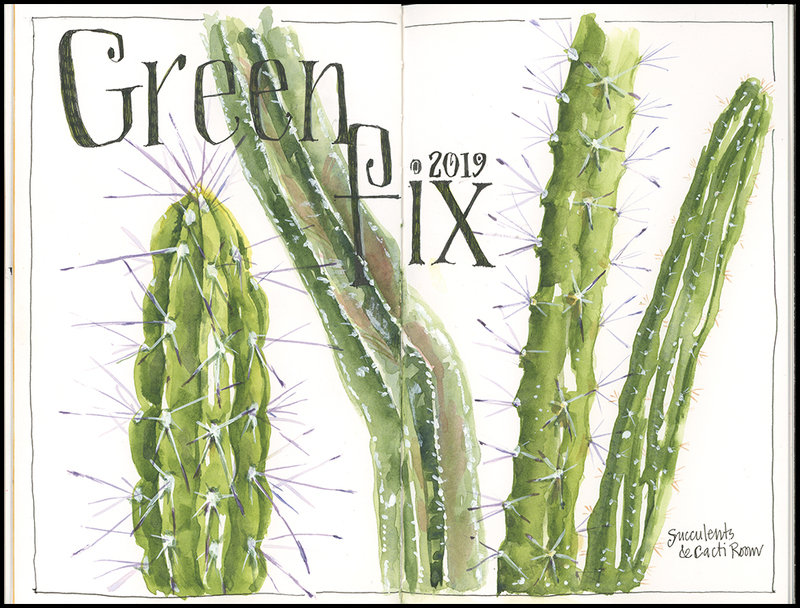 Botanical illustrators like Wendy Hollender, who works in colored pencil and watercolor, provide great insight into techniques used to make highly accurate renderings. While a journal hardly needs to be so detailed, I find it instructive to paint this way on occasion. 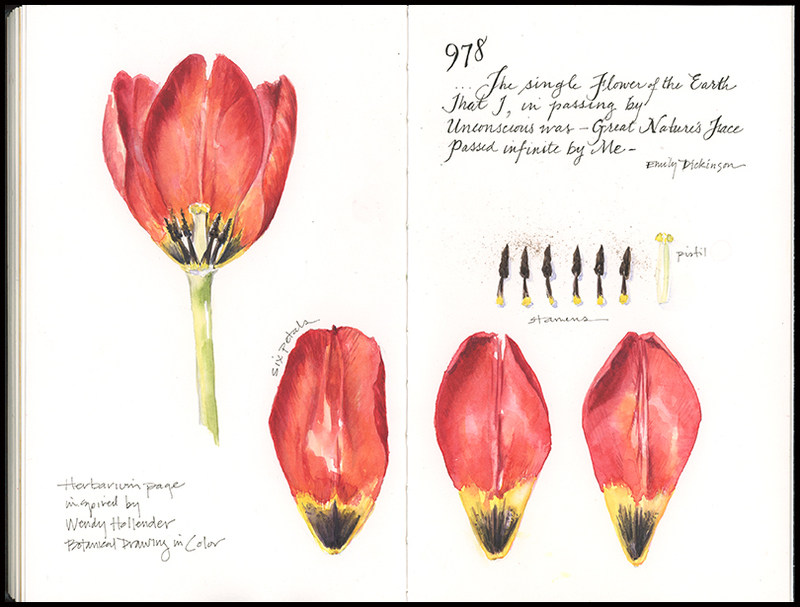 I began the tulip with a pencil drawing, followed by a very loose wash of watercolor. 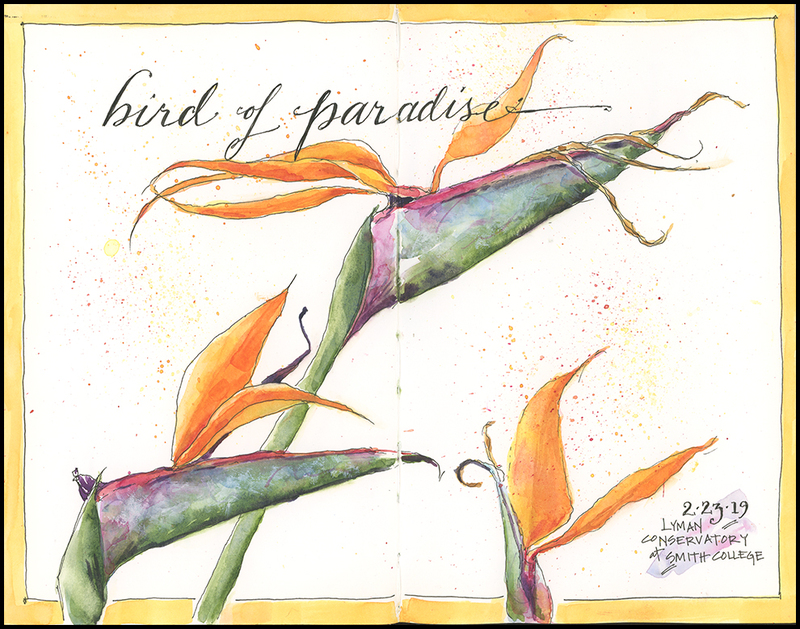 From there, I used an increasingly dry brush (sizes 2 and 0) to apply more layers of watercolor. Getting a full range of values from light to dark is essential to making the petals take shape.